Boost efficiency, cut down on data entry, and reduce errors while enhancing reporting, visibility, and relationship management. View upcoming and incomplete cases and those pending or ready for POs. Receive and review sales orders completed by reps in the field or easily create and complete sales orders on their behalf. Forecast implant requirements based on historical activity. Analyze all historical orders and search by part, lot and serial number, and expiration date. Request inventory loaners, replenishments, and ad hoc consignment. 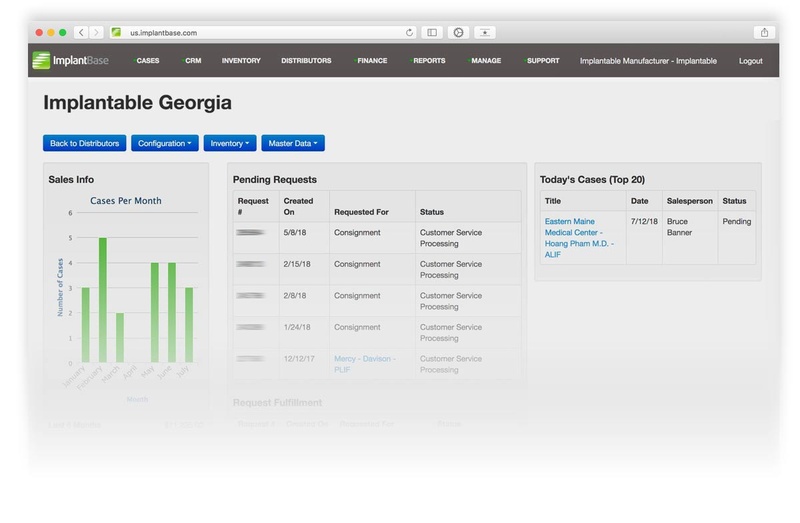 Track requests through approvals, processing, and shipment. 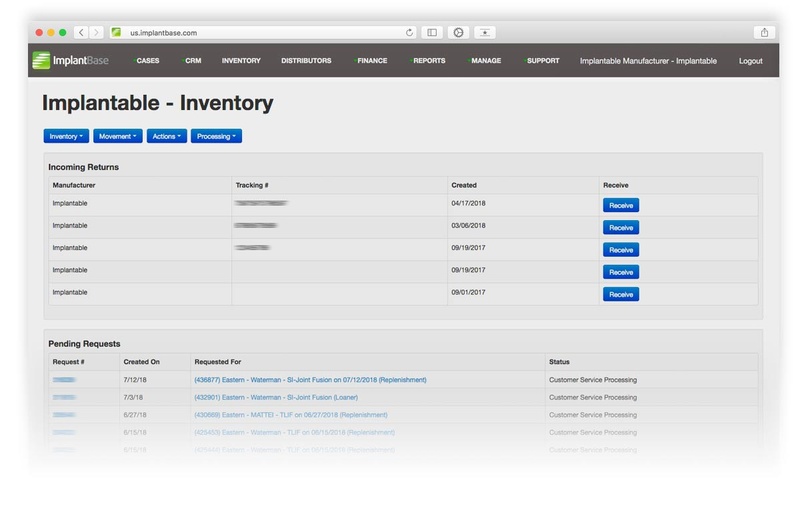 Pinpoint inventory location and holder of all product assigned to distributor or sales rep. Be informed when inventory is on backorder. 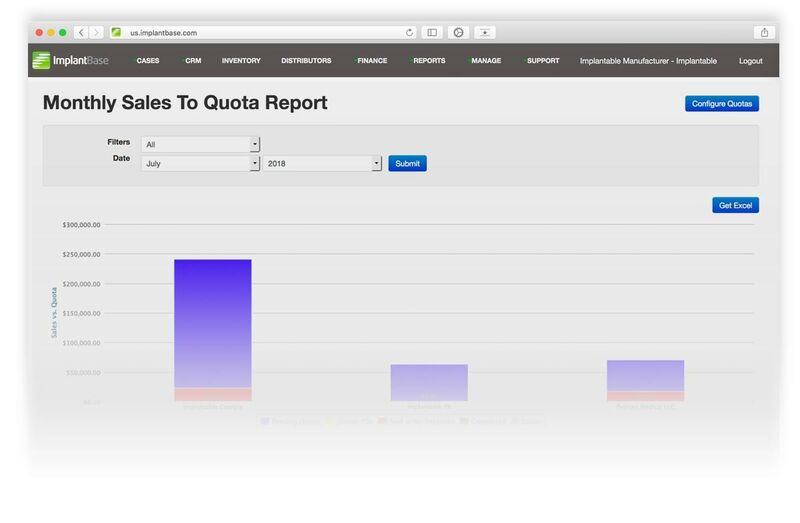 Access powerful reporting capabilities, including sales order summary report, sales order item report, monthly sales to quota, backorders, suggested reorders, and more. 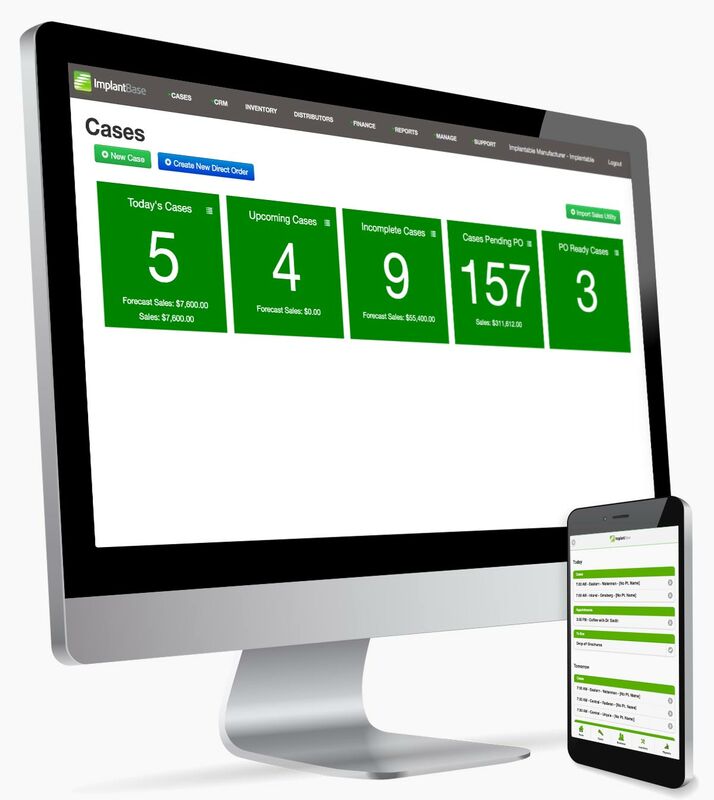 Reduce complexity in capturing sales and inventory requests with a single system that requires few steps and ties requests automatically to cases. You’ll have more time to support reps in getting exactly the products they need when they need them and in guiding surgeons on product choice for case scenarios. Be in the know at all times. Understand who needs inventory and quickly see the status of their requests and shipments. Identify unused inventory and its holder, analyze trends in surgeon activity, and measure distributorship profitability. Spend more time selling and less time wrangling inventory for your upcoming cases. Harness the power of advanced visibility and forecasting tools based on real-time data to combat a state of constant chaos. Boost productivity, performance, and sales metrics without increasing headcount, and free more working capital from your inventory with better management tools. Given we’re about 60 days past “go-live” we’ve already seen the benefits of Implant Base in several facets of our business. 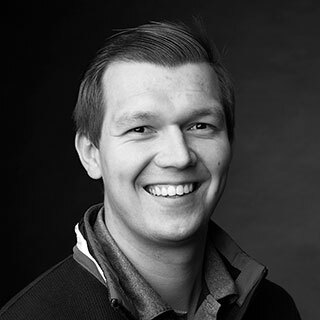 The most impactful change we’ve seen is providing our sales and marketing teams real-time visibility to activity in the field with data points that did not previously exist in our ERP system. We’ve already seen reduction of order entry time eliminating the need of duplicating the data entry that reps capture in the OR, and above all we’ve already seen faster order-to-cash by providing our distributorships live visibility to what orders need a PO. Comprehensive features to drive sales. No typing. Just a few clicks and the case is scheduled and everyone who needs to know is instantly informed. On any device. Designed to enable fast data entry. Automatically populate contract prices when adding items to orders. Easy to maintain. 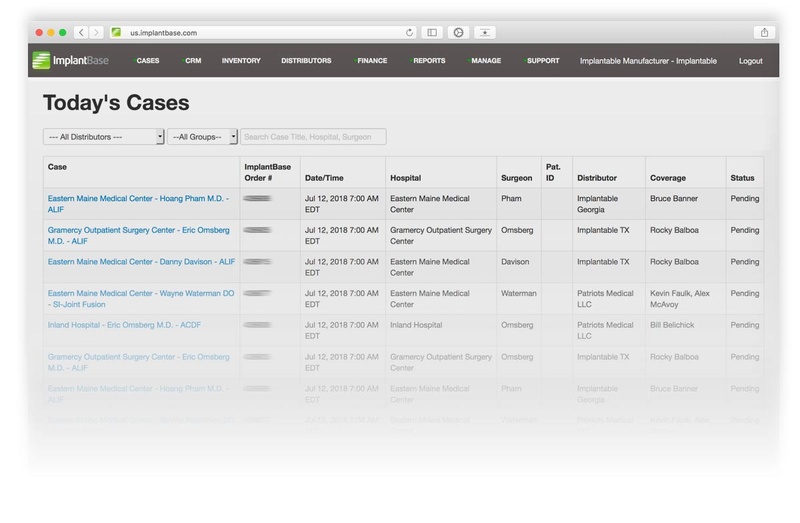 Provide reps with the ability to leave PDFs of sales orders in the OR without exposing competitive pricing information. 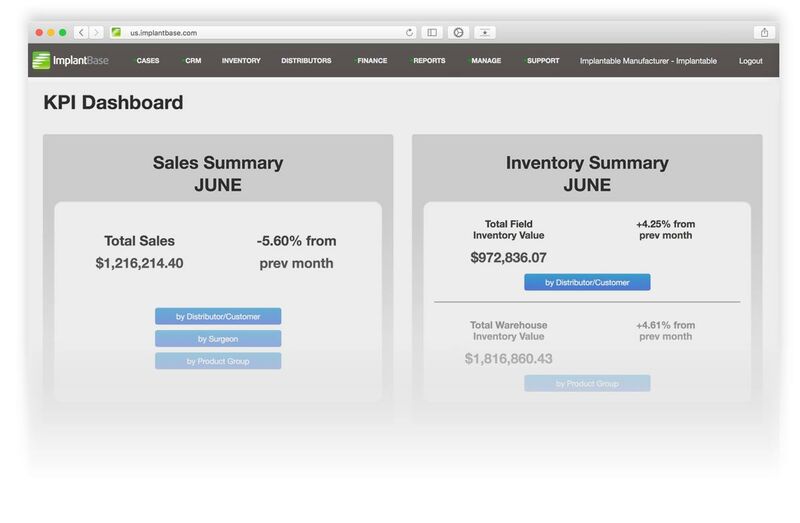 Sales orders can create restock orders without any additional data entry. Displays preferences just where they’re needed so reps can maintain great service levels. Easily store and retrieve key documents, such as IFUs and Product Brochures. Analyze sales by surgeon, hospital, and/or product line. Analyze distributor/rep performance in detail, as well. All in real-time. Built from the start to comply with regulatory requirements. Updated regularly to adapt to the ever-changing regulatory environment.